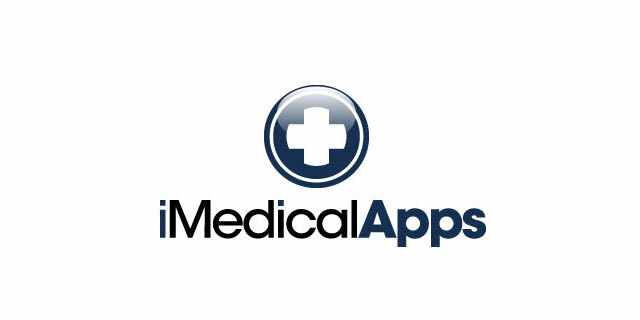 It’s been more than two years since the editors at iMedicalApps went through the medical apps available for iOS and found the best medical apps Physicians and other healthcare providers should download onto their iPhone. During that time the face of the App Store has changed, along with the phone itself. The following list was compiled by the Editor-in-chief and Managing Editors of iMedicalApps. The editors individually searched through the iTunes store (desktop) and App Store (iOS) in the free medical apps category and compiled their top medical apps list. Key features looked at were quality of content, real world applicability, and user interface. The remaining editors at iMedicalApps were able to view the compiled lists in their entirety, and were given the opportunity to add other apps. The Editor in Chief and Managing Editor only included apps unanimously agreed upon. In order to view the videos, please login to our site. If you’re not registered, you can do so for free. Speaking of game changers. Imagine being able to read your favorite medical journals on your phone, but doing so in a magazine format. Imagine having an application that automatically updates a feed with your latest journal articles, provides easy, one click viewing of the PDF files, and will even store them. Imagine not having to login to your institutions portal repeatedly to view your favorite journal articles. Now stop imagining because there are now apps doing this. Read by QxMD and Docphin offer this functionality. They have quickly become favorites and must haves. In our videos of each, we show you how to set up the app, and explain why one of them is the clear favorite for the iPhone. We guarantee reading journal articles on your iPhone will never be the same. On-page web annotation for PDF would just about assemble an off-the-shelf EMR with Feedly, Evernote and Dropbox. One caveat regarding Dropbox; the hospital I am primarily affiliated with recently blocked access to Dropbox over their server due to concerns regarding lack of certified HIPPA compliance. This raised concerns about physicians storing PHI on their Dropbox sites. Dropbox’s own admission several months ago that their employees could in fact access content stored in their client’s accounts and that they could not guarantee that none would actually do so added fuel to that fire. Seriously? The hospital completely blocked access to Dropbox? That sounds ridiculous and doesn’t make sense. Would they block access to any app that allows storage of cloud data? It’s shocking a hospital system would actually block people from accessing their personal dropbox accounts — is this what actually happened? I agree that Dropbox is a great app for using cloud based technologies to store and access your data ….but! I would not advise the use of Dropbox within healthcare without some serious thought and water tight administration. Any person or organisations sorting data identifiable to an individual are legally responsible for the safe storage of the data but do not own it. If you cannot be sure that patient identifiable information will not be stored on servers that are located outside of the UK, security will not be compromised and that the data is safe then putting aside Dropbox’s merits it should not be used. Any admin happy having critical data stored on servers outside of their control should consider their position. Hi there, thanks for the helpful information. I am just wondering where I could find that link that you mentioned in the evernote video re. viewing the files shared under the heading ‘paucis verbis’. My Paucis Verbis (PV) cards can be found on my blog site with various ways to access them (evernote, dropbox, agileMD app). Enjoy! Great article – I asked Dropbox if they had plans to support HIPAA and HITECH standards and they responded that they have no plans to upgrade their solution so it supports HIPAA and HITECH standards. I have started using Box which has similar functionality AND fully support HIPAA and HITECH standards. See https://support.box.com/entries/22515768-Box-HIPAA-and-HITECH-Overview-and-FAQs. What has happened to Medibabble? The App Store states it is no longer available. Not seeing here in the US – is this still a problem? Medscape for general medical info? Really?? No way, it is unusable. First, it breaks topics up into categories and subcategories, yet the user has no idea whether the answer to his/her question is in any particular category. Tons of wasted time clicking, scrolling, skimming, back-clicking, and so forth. It would be better to have fewer categories or a single page view. Plowing through Up-to-Date on a PC is way higher yield. Even though the articles are longer, one can effectively search, there are lots of links from one article to another, and thus if one does not initially arrive at the right info it is feasible if not easy to get there shortly. Not so with Medscape. Second, I have found no useful information. Lots of generalities, no answers to specific clinical questions. At least UTD has actual recommendations and clinical guidance. And do not underestimate the annoyance factor. Sign up for Medscape and they send you pseudo-journalism garbage endlessly. Great article – I’d like to recommend one to the list! Touch Surgery is a free surgery simulation app that acts as a great educational platform for surgeons, residents, and even medical students. I know there are lots of surgical procedures in there and they’re always adding more, I thought this was definitely worth taking a look at!